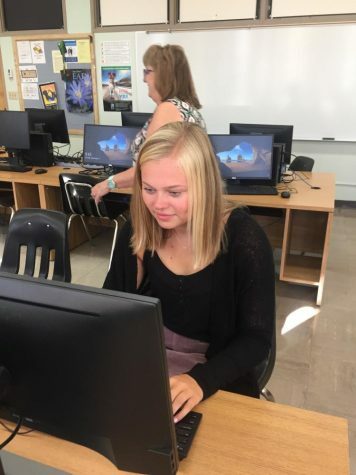 Kayla Ponti, a senior at Bishop Blanchet, is beginning her first year as a member of the Miter staff and journalism team. Kayla is excited to improve her writing skills by writing about the sports events, school news, and the Brave community. She believes that everyone should know what is going on in their community and is excited to be a voice for the Braves. Kayla is also an ambassador, captain of the girls swim team, a member of St. Vincent de Paul, and runs on the track team in the spring time. Outside of the classroom, Kayla works at Aqua Club as a lifeguard and teaches swim lessons in the summer, enjoys skiing on Friday nights at Stevens Pass, attending Blanchet sports events, and watching The Office. Kayla also enjoys keeping up with current events by watching Fox News, as well as listening to talk shows, and reading the Seattle News. Kayla is thrilled about being apart of the Miter staff and can't wait to write for the Brave community.